These San Juan single origin coffee beans have been sustainably produced in the high altitudes of the Western region of Intibuca. 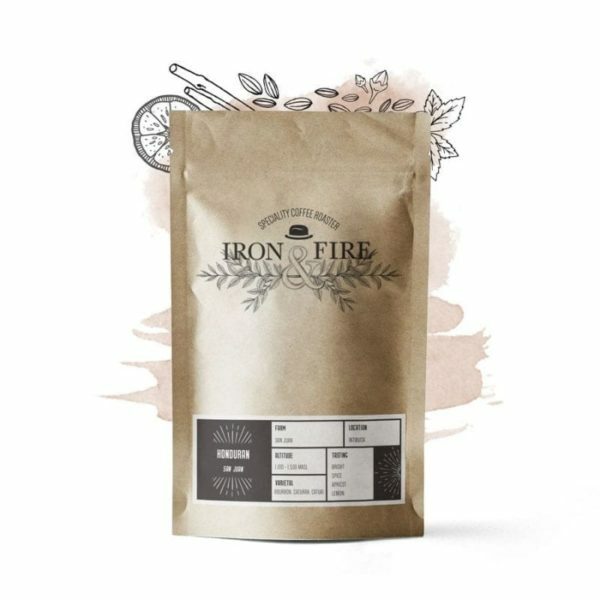 This is a bright and fruity coffee that has been carefully roasted to bring out the beautiful flavours of apricot and lemon, with a spicy finish. This stunning coffee is grown in the mountains of the Western region of Intibuca. Intibuca, which means “high plateau” sits at 1,990 masl in mountainous territory- indigenous people who reside here do so specifically due to this high altitude. The San Juan coffee is bursting with bright and citrus flavours, with hints of apricot and a spicy finish. Works perfectly as a pourover. We aim to despatch all UK orders within 2 working days. All coffees are freshly roasted. Standard delivery is charged at a flat rate of £2.60 per order (mainland UK). We also deliver to international addresses. You are welcome to come and collect your order from our roastery in Shrewsbury – just select this option when you order your coffee online. You can collect anytime during the week, just get in touch to let us know when you want to drop by. You must allow a minimum of 48 hours between ordering and collection. Would you like to become a wholesale trade customer? We provide a complete one-stop-shop service with an excellent level of support for established businesses and new start ups. Receive your own personalised log in and order online. We offer a range of coffee education and training courses along with coffee tasting evenings. Whether you are looking to train your staff in barista skills or are a home coffee enthusiast who simply wants to learn how to enjoy better coffee, we have the course for you. Come and enjoy the experience at our Shrewsbury roastery and training centre. Browse our online shop and order via our website via Paypal (Paypal account not required). You will receive email notifications on the status of your order. Login with your trade account to see wholesale prices and your previous orders. Reorder via our website or contact us directly. Please see our delivery terms for shipping costs. You are also welcome to collect from our Roastery. Grind what you need and roll up the bag to avoid air contamination. Wrap in an elastic band and store somewhere cool and out of sunlight.